Did you know that ferrets have been banned in New York City for over 15 years? Then Mayor Rudy Giuliani banned the critters. And Michael Bloomberg upheld his decision. But now thanks to Ariel Jasper, a Brooklyn College student, that may all change. She petitioned the Department of Health and Mental Hygiene on Wednesday to consider an amendment to the Health Code. And since our current Mayor Bill de Blasio is an animal lover, most people think the ferret has a pretty good chance of returning to Manhattan households. And, seriously, why not? 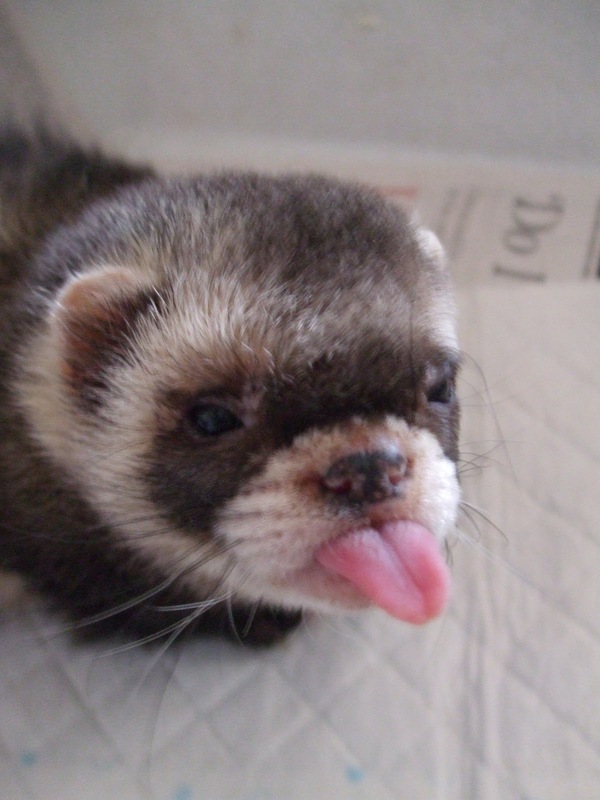 Ferrets are legal pets in 48 states, including the remainder of New York. This entry was posted in Animals, Commentary, Humor, Life, News, Politics and tagged animal lover, animals, Ariel Jasper, Brooklyn College, commentary, crittercism, Department of Health and Mental Hygiene, ferret ban, ferrets, Health Code, Humor, life, Manhattan, Mayor Bill de Blasio, Michael Bloomberg, New York City, New York City mayor, news, politics, raspberry, Rudy Giuliani. Bookmark the permalink.